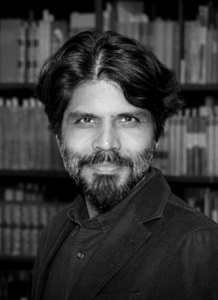 Pankaj Mishra is an Indian author and writer of literary and political essays. He was born in North India in 1969. He graduated with a Bachelor of Commerce from the Allahabad University before completing his MA in English Literature at the Jawaharlal Nehru University in New Delhi. In 1992, he moved to Mashobra, a Himalayan village, where he began to contribute literary essays and reviews to The Indian Review of Books, The India Magazine, and the newspaper The Pioneer. His first book was Butter Chicken in Ludhiana: Travels in Small Town India (1995), a travelogue which described the social and cultural changes in India in the new context of globalization. His novel The Romantics (2000) an ironic tale of people longing for fulfillment in cultures other than their own, won the Los Angles Times’ Art Seidenbaum award for first fiction. His book An End to Suffering: The Buddha in the World (2004), mixes memoir, history, and philosophy while attempting to explore the Buddha’s relevance to contemporary times. Temptations of the West: How to be Modern in India, Pakistan and Beyond, describes Mishra’s travels through Kashmir, Bollywood, Afghanistan, Tibet, Nepal, and other parts of South and Central Asia. Like his previous books, it was featured in the New York Times‘ 100 Best Books of the Year. Published in 2012 From the Ruins of Empire: The Revolt Against the West and the Remaking of Asia was shortlisted for the Lionel Gelber prize in Canada, the Orwell Prize in the U.K, and the Asia Society Bernard Schwartz Book Award in the United States. It won the Crossword Award for Best Nonfiction in 2013. In 2014, it became the first book by a non-Western writer to win Germany’s prestigious Leipzig Book Award for European Understanding. In 2013, he published A Great Clamour: Encounters with China and its Neighbours. In 2017, he will publish Age of Anger: A History of the Present. In 2005, Mishra published an anthology of writing on India titled India in Mind (Vintage). His writings have been anthologized in The Vintage Book of Modern Indian Literature (2004), The Granta Book of India (2005), Away: The Indian Writer as Expatriate (2003), The Picador Book of Journeys (2000), A History of Indian Literature in English (2003), The Best American Travel Writing (2008), and The Occupy Handbook (2012), among other titles. He has introduced new editions of Rudyard Kipling’s Kim (Modern Library), E. M. Forster’s A Passage to India (Penguin Classics), J. G. Farrell’s The Siege of Krishnapur (NYRB Classics), Gandhi’s The Story of My Experiments with Truth (Penguin), R. K. Narayan’s The Ramayana (Penguin Classics), Waguih Ghali’s Beer in the Snooker Club (Vintage) and Ahmet Hamdi Tanpinar’s The Time Regulation Institute (Penguin Classics). He has also introduced two volumes of V.S. Naipaul’s essays, The Writer and the World and Literary Occasions. Mishra writes literary and political essays for the New York Times, the New York Review of Books, The Guardian, the New Yorker, London Review of Books, Bloomberg View, among other American, British, and Indian publications. His work has also appeared in Times Literary Supplement, Financial Times, Wall Street Journal, New Republic, Washington Post, Boston Globe, Time, The Independent, Granta, The Nation, n+1, Poetry, Common Knowledge, Outlook, and Harper’s. He was a visiting professor at Wellesley College in 2001, 2004, and 2006. In 2004-2005 he received a fellowship at the Cullman Center for Writers and Scholars, New York Public Library. For 2007-08, he was the Visiting Fellow at the Department of English, University College, London. In 2009, he was nominated a Fellow of the Royal Society of Literature. In 2014, he received Yale University’s Windham-Campbell Literature Prize.